Near the village of Kholmogory, Lomonosov is born, 8 November, into a family of "pomory"-a term referring to coast-dwelling peasants in the White Sea region. Recieves a course in basic Russian grammar from a neighbor, Ivan Shubnyi, and the local sexton, Semyon Sabelnikov. Simultaneous to this early education, Lomonosov begins working with his father, who owns a cod-fishing and cargo business. Most of the 1720's is spent traveling to ports close to home on the White Sea and as far away as the northern Arctic Sea. 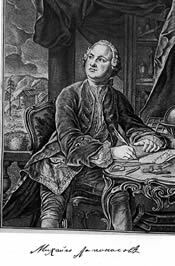 Among other things, Lomonosov learns navigation, maritime metereology, astronomy, pearl-diving and becomes familiar both with naval culture and with the cultures of northern peoples such as the Finns, Nenets and Laplanders. In December, the Kholmogory Maritime Chancellery issues Lomonosov a passport. Despite his father's objections, he leaves Kholmogory on December 9 and arrives in Moscow in early January. Claiming to be the son of a priest, Lomonosov enrolls in the Slavo-Greco-Latin Academy on January 15. 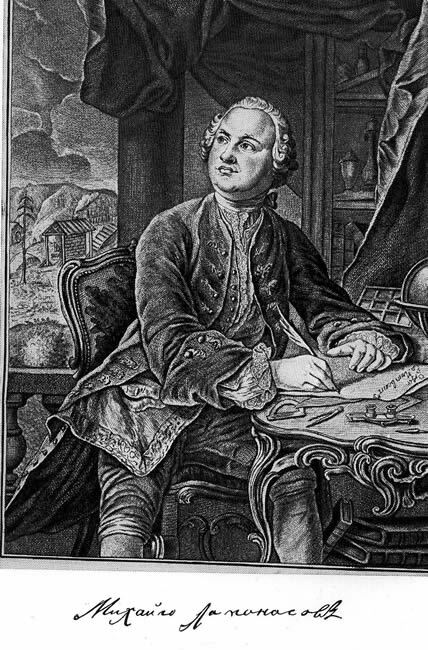 With 12 of his classmates, Lomonosov is chosen to continue his education at the Imperial Academy of Science in Saint Petersburg. A year later, he is sent, along with two other talented students, to study chemistry and mining in Marburg, Germany. Studying in Germany allows Lomonosov to broaden his academic curriculum to include Classic and contemporary literature and lanuages. 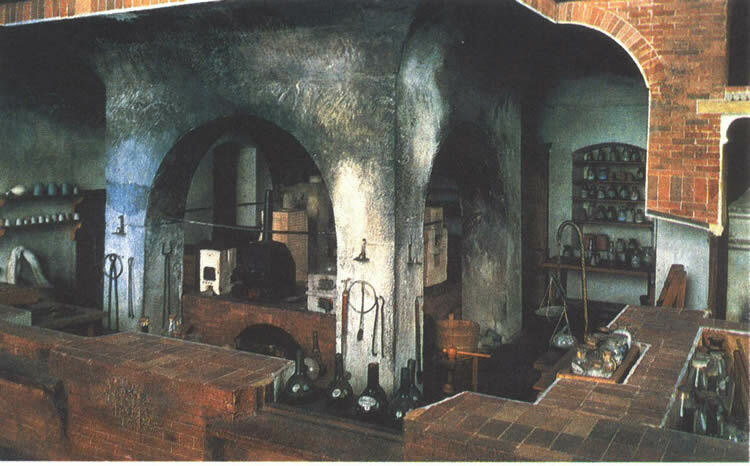 After delivering his first lecture to the Academy the previous year, Lomonosov leaves Marburg for Freiburg, under the pretense that he will study mining with the famous Professor Henckel. Instead, he turns his attention to literature and begins writing poetry, mostly odes. Reacting to Trediakovsky's tract of 1735, "The New and Brief Method for Writing Russian Verse," Lomonosov comes up with his own method and writes "A Letter on the Rules of Composing Russian Poetry." In developing Trediakovsky's basic idea (that Russian verse ought to be measured in feet rather than in syllables) into a more flexible system, Lomonosov establishes the syllabatonic mode that remains the most basic element of Russian verse composition. Leaves Freiburg and returns to Marburg to marry Elizaveta-Kristina, the daughter of his former landlady. In the fall, he leaves Marburg to travel through Europe, possibly serving briefly in the Prussian army. Returns to Saint Petersburg, where he begins work on his dissertation with Professor Amman. He is named adjunct professor of physics at the Academy, and immediately submits the first of three proposals for the building of Russia's first chemistry laboratory. The proposal is not accepted until 1746. Intensive period of both academic and poetic production. Works from this period include his most famous odes, "Morning Meditation on the Greatness of God" and Evening Meditation on the Greatness of God on the occasion of the Northern Lights" (see right), and the first edition of his "Short Guide to Rhetoric." In 1743, his wife arrives from Germany. Named Professor of Chemistry at the Petersburg Academy of Science. Publishes the full, and paradoxically lengthy, "Short Guide to Rhetoric." Construction of the chemistry laboratory completed. Empress Elizaveta orders Lomonosov and Trediakovsky to write plays for the developing national theater. Lomonosov composes a five-act tragedy, Tamira and Selim, which is successfully performed and well received. The Academy publishes the first collection of Lomonosov's poetry. Publishes the long poem "On the Utility of Glass" and writes a second play, Demofont, which is less successful than Tamira and Selim. Aids in the founding of the Moscow University. Now the nation's largest and most prestigious institution of higher learning, Moscow State University (ОН ХЛЕМХ кНЛНМНЯНБЮ) bears his name. Publishes "Russian Grammar" and is named a member of the Academic Chancellery. For the Moscow University press, he begins work on the first volume of his collected works, for which he writes the "Foreword on the Utility of the Ecclesiastical Books in the Russian Language." In it he establishes the importance of the relationship between spoken Russian and Chruch Slavonic, arguing that, because of its connection to Ancient Greece via the Byzantines, the ecclesiastical language makes intellectual life accessible to the literate Russian. Spoken Russian and Church Slavonic, Lomonosov argues, can be combined in three styles, according to the loftiness of the writer's goals: the first, "high" style to be used for tragedies, odes and elegies, should include more Slavonicsims; the second, "middle" style, consisting of an equal mix of Russian and Slavonic, should be used for drama, correspondence, and satire; and the third, "low" style includes mostly Russian words and exists for comedies, epigrams and everyday speech. This understanding of style proved extremely influential in the development of the poetic tradition in Russia. Named director of the University and Gymnasium at the Petersburg Academy of Science. 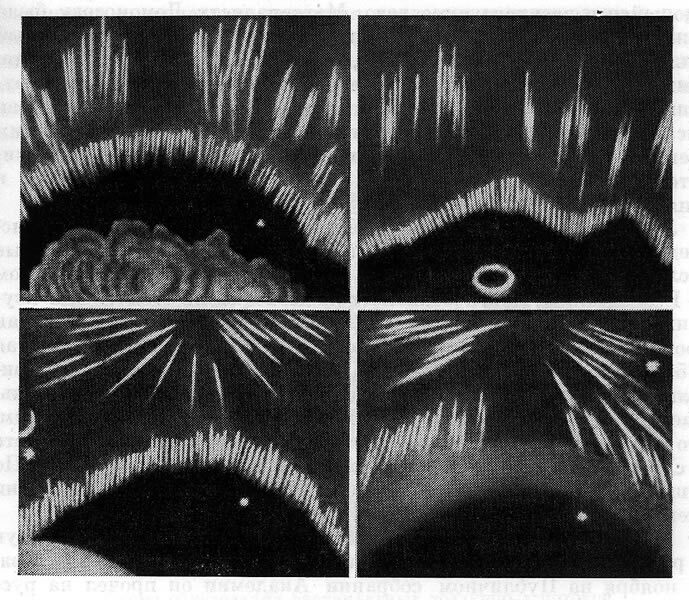 Observes the orbit of Venus around the sun and discovers that its atmosphere consists of dense gas. Named member of the Academy of Arts in Petersburg. January, Lomonosov takes part in his last function at the Academy. 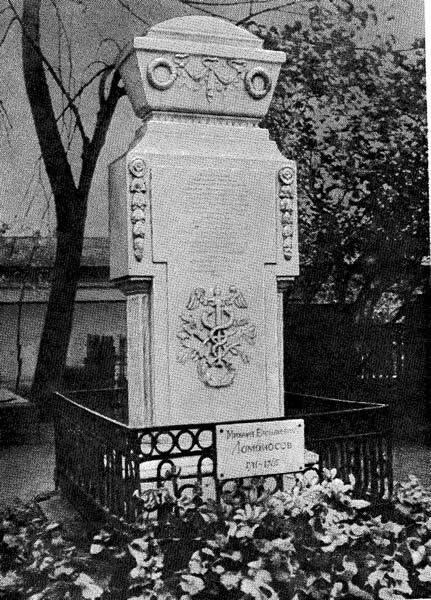 4 April, Lomonosov dies at home and is buried four days later in the Lazarev cemetery at the Alexander Nevsky monastery in Petersburg.